The Cavaliers welcomed in the Minnesota Timberwolves Monday night at Quicken Loans Arena, looking to bounce back from an ugly loss on Saturday to the Chicago Bulls in new Head Coach Tyronn Lue’s debut. Minnesota held their own, and the Cavaliers played with the uptempo style Lue had been preaching, but did not play great defensively. 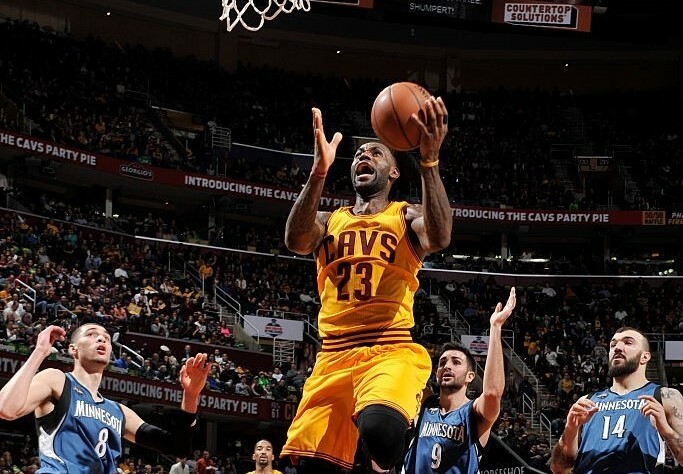 The Cavs withstood a late-fourth quarter rally from the Timberwolves, and came through with a 114-107 win. Cleveland got out to a hot start early in the game, leading 7-0 in the first two minutes. Shots continued to fall, as the Cavs shot 6-for-6 to start the game and led 14-6 in that stretch. 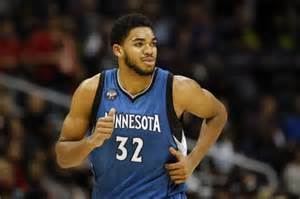 Timberwolves’ rookie and number one overall draft pick from 2015, Karl Anthony-Towns was a force to be reckoned with in the first quarter, scoring ten points and keeping the game close. Former-Cavaliers’ number one pick from the 2014 draft, Andrew Wiggins reminded Cavs’ fans what they could have had, scoring seven in the quarter, as the duo of number one draft picks, Towns and Wiggins combined for 17 points in the quarter. Minnesota took their first lead with 3:23 to go in the first quarter, going ahead 23-22, but the Cavs would regain the lead and enter the second quarter on top 32-29, as Matthew Dellavedova hit two three-pointers in the final minute, including one just before the buzzer. It was Australia Night at the Q, and the Aussie scored eight points in the first quarter, in which the Cavs shot 13-of-18 from the field, or 72 percent. Minnesota’s backup point guard, Zach LaVine provided a spark off the bench, tying the game at 34 with 10 minutes to go in the second quarter. The 20-year-old who first arrived on the NBA scene in the 2015 NBA All-Star Dunk Contest, and became well-known for his Space Jam-themed dunk, tore the Cavs apart in the first half, scoring 12 points on 5-of-7 shooting. 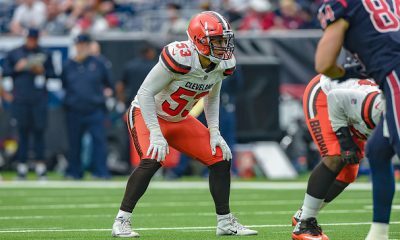 The Cavs stayed hot on offense, but the defense was suspect, as Cleveland played with the pace Coach Lue had been wanting them to implement, but did not always get back on the other end on defense, and Minnesota hung with the Cavs through two quarters. LeBron James had an efficient first half, after shooting 11-of-27 against the Bulls on Saturday, and hit 7-of-8 field goal attempts to help the Cavs lead 59-55 at halftime. The trio of Wiggins, Towns, and LaVine combined to score 33 of Minnesota’s 55 points in the half. The Cavalier defense continued to allow easy baskets to start the second half and Minnesota would tie the game at 61 with nine minutes to play in the third quarter. The Cavs would end the third quarter strong, jumping out to a ten-point lead, and entered the fourth on top 83-73. Cleveland led by double-digits for most of the fourth quarter, but Minnesota made it interesting getting it down to a four-point game with a minute to play. The Timberwolves would cut it to a three-point game with 16.5 seconds to play, thanks to LaVine converting a three-point play. The Cavs would hold on to win 114-107, as LeBron hit two clutch free throws. LeBron finished with 25 points on 11-of-15 shooting, one of his most efficient games of the season. He also dished out nine assists. Tristan Thompson was back in the starting lineup, posting a double-double with 19 points and 12 rebounds. Thompson was especially effective in the fourth quarter, scoring eight straight points for the Cavs midway through the quarter. Kevin Love had a quiet night against his old team, scoring 11 points with six rebounds. Wiggins ended up with 20 points. LaVine, who was dangerous in the first half, went scoreless in the third quarter, and got going late in the game again, scoring nine in the fourth quarter, and would finish with 21 points. He added six assists off the bench. 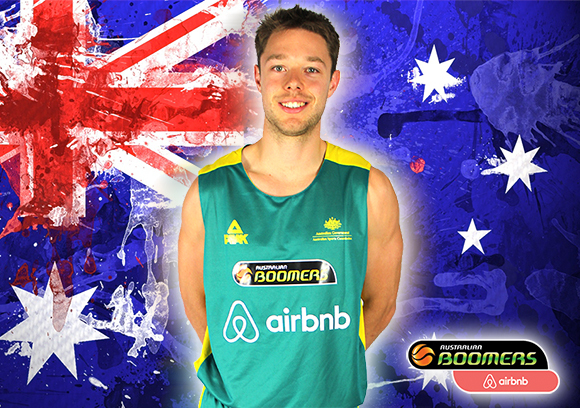 Delly had a big night while his fellow Australians watched the game on national TV in the daytime. The game aired live at 11 AM in Australia, and Dellavedova did not disappoint, scoring 18 points with seven assists off the bench. Delly hit 4-of-8 attempts from beyond-the-arc. Towns, known as KAT for short, was a thorn in the side of the Cavaliers all night, as he continued his impressive campaign for Rookie of the Year. The 20-year-old, who played one season at the University of Kentucky, scored a game-high 26 points and hauled in 11 rebounds. He is averaging 16 points, 10 rebounds, and just under two blocks per game, and is on track to become the second Timberwolf to win the award in as many seasons. Wiggins was named the NBA Rookie of the Year for the 2014-2015 season, receiving 110 of the 130 first-place votes, averaging 17 points, and playing in all 82 games. The Cavs improve to 31-12 with the win and host the Phoenix Suns on Wednesday night. Tip-off is set for 7 PM.